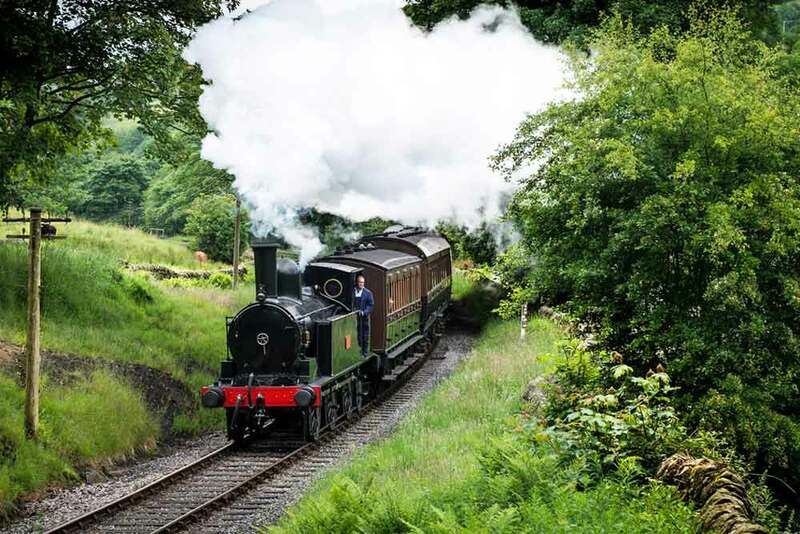 Just as much a feature of Christmas as the Santa Specials, the Mince Pie Specials, that run everyday from Boxing Day until after New Year, have become a popular feature of the Worth Valley scene. 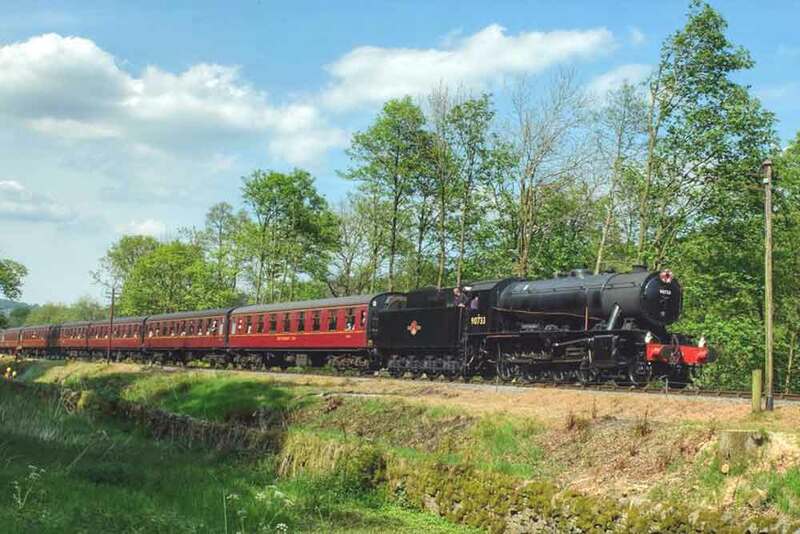 This year two locomotives shared the duties, the railways own 43924 and visiting ‘Black 5’ 45305, undertaking its last duties before leaving the Railway. Here is a small sample of the images we have received. Click HERE to see more on our Flickr page. For the first weekend of the Santa service USATC S160 2-8-0 5820 was scheduled to head the service but 43924 deputised on Saturday, resulting in a Derby product at each end as Class 25 25 059 was on the north end for the run down to Keighley. 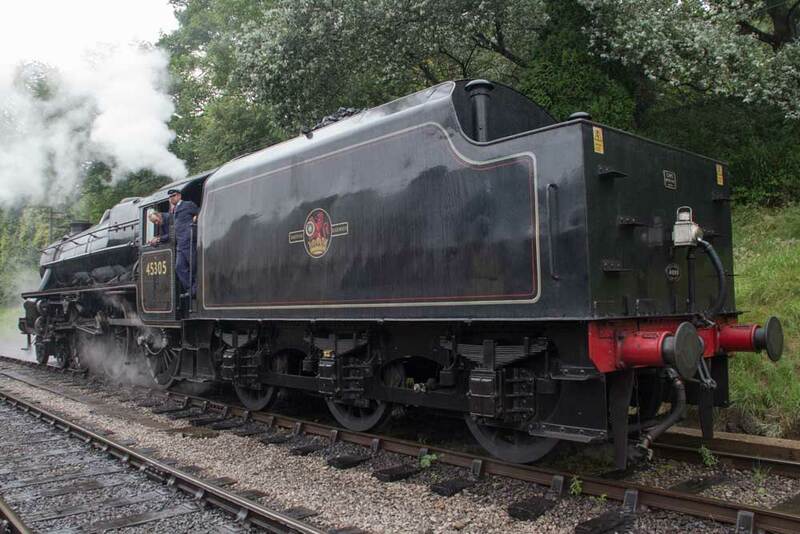 However 5820 was at the head on Sunday. 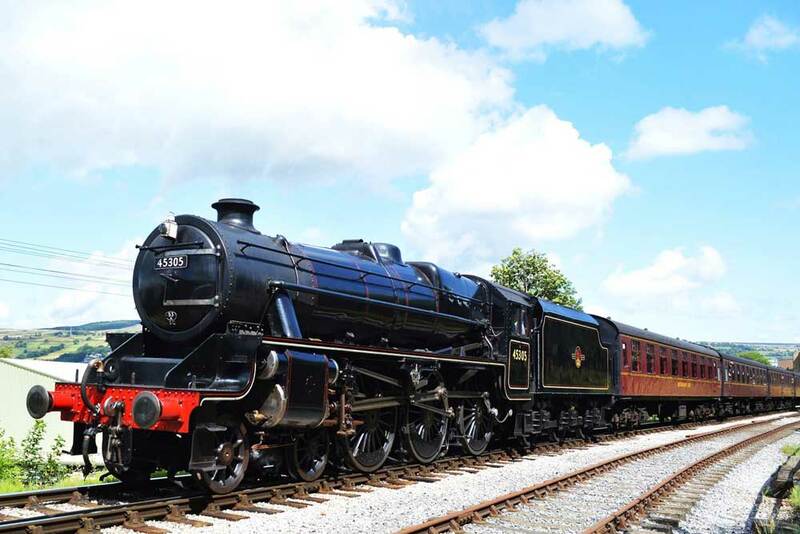 We are sorry to advise visitors to the Autumn Steam Spectacular that LMS 5MT 4-6-0 45305 was failed this morning prior to it taking up its duties today. Its turns on the roster will be taken by USATC S160 2-8-0 5820, Saturday, and WD 90733, Sunday. 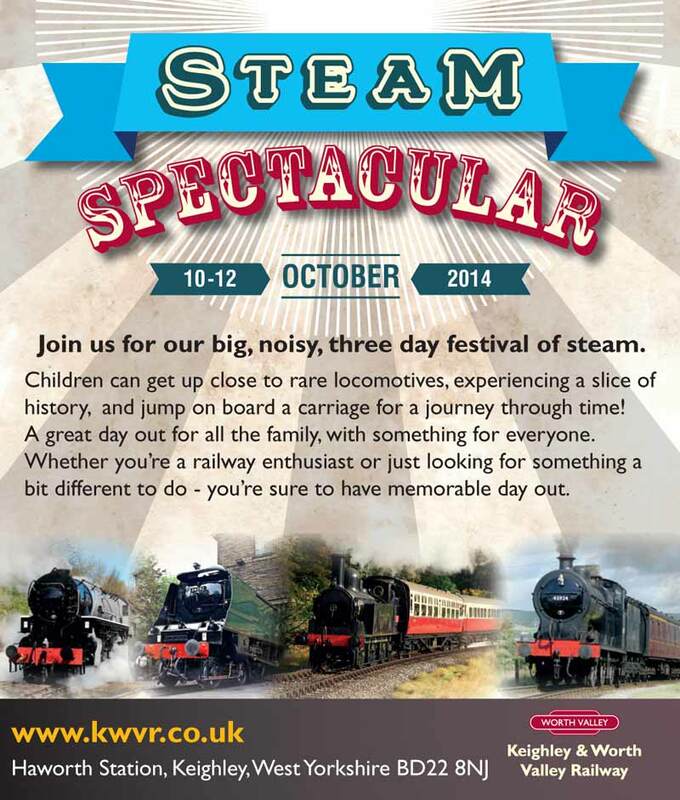 We apologise for this change, but have no choice but to withdraw the locomotive from service this weekend. In glorious Autumn sunshine, the Autumn Steam Spectacular got off to a great start as this selection of photos from the morning session clearly illustrates. Later in the day a darkened sky gives dramatic effect as the sun ‘sinks slowly in the west’. A comprehensive look back at the event with photos from all our contributors will appear later in the week when all the photos have been received. In the meantime, if this selection has wetted your appetite, then make the trip over either Saturday or Sunday for more exciting action. 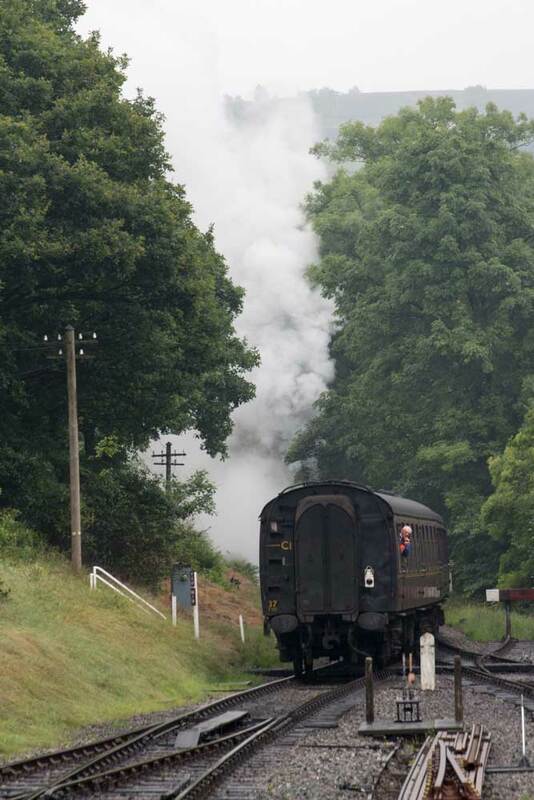 Having missed out on mainline operations due to the steam ban imposed by Network railway, 45305 belatedly left the Railway on Wednesday to take part in the North Norfolk Gala over this weekend. The locomotive is then, belatedly, going to Crewe for mainline duties on the North Wales coast. 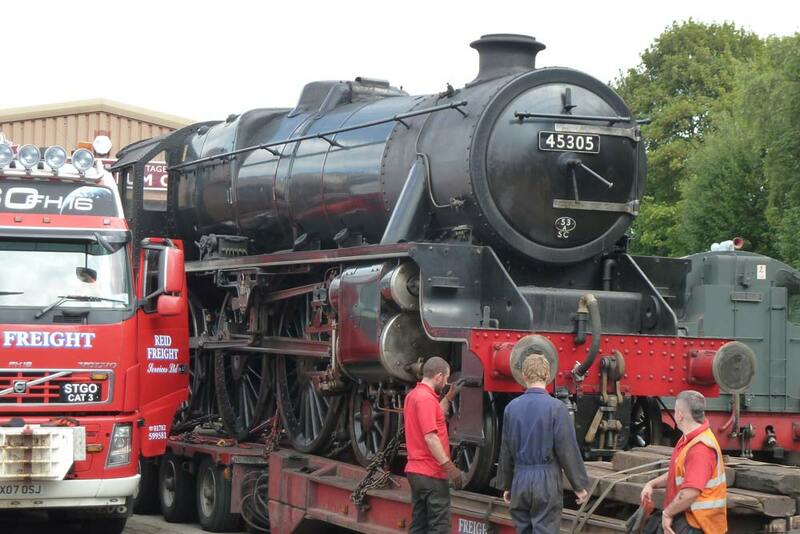 There is no firm date for its return but, 45305 will be back for the Autumn Steam Spectacular in October. 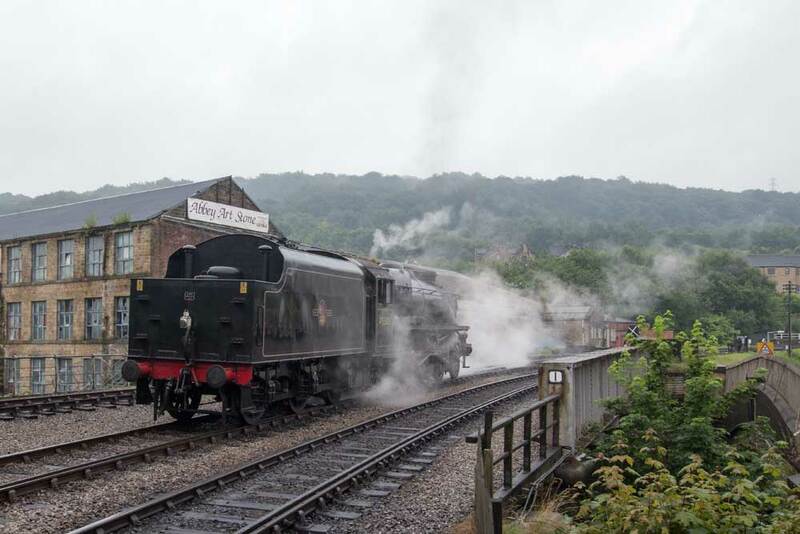 After the excitement of last weekend, MR 4F 0-6-0 43924 returns to haul the mid-week steam service. 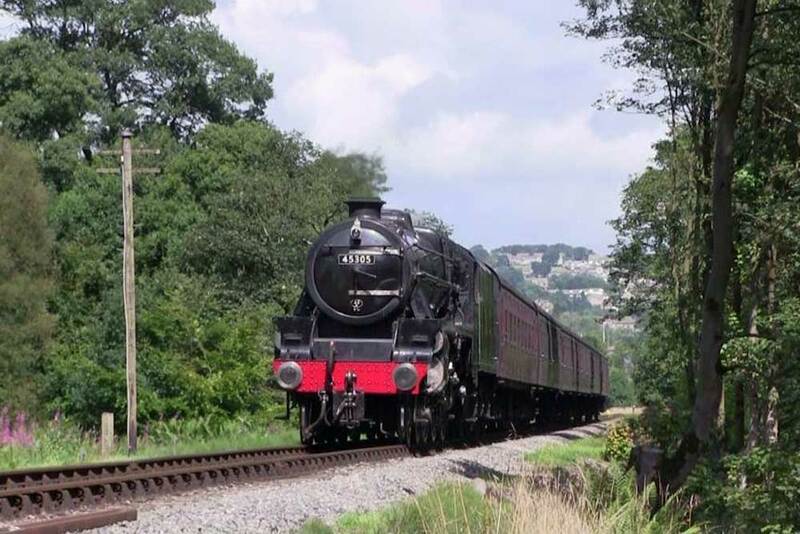 Crowds should be back in force again over the Bank Holiday weekend when West Country Pacific 34092 ‘City of Wells’ will be in action over the three day holiday to be joined by LMS 5MT 4-6-0 45305 on Sunday and Monday. 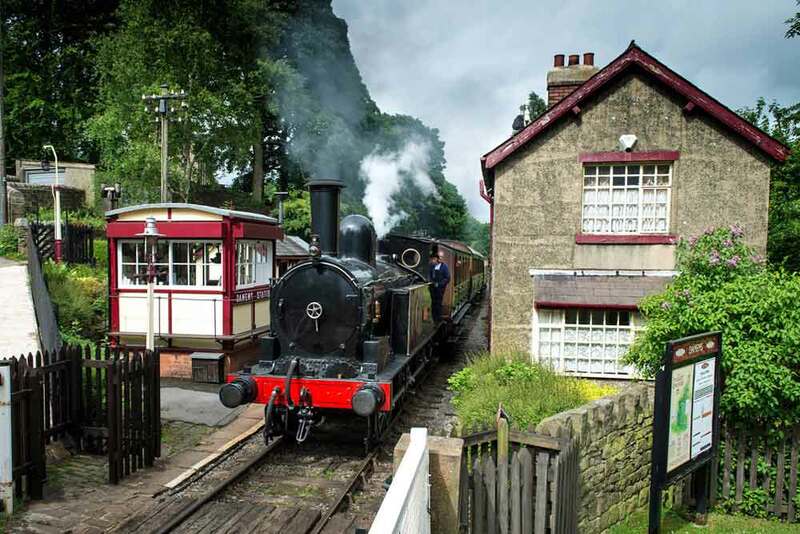 Saturday will be the Green timetable and Sunday & Monday, the Blue timetable service. 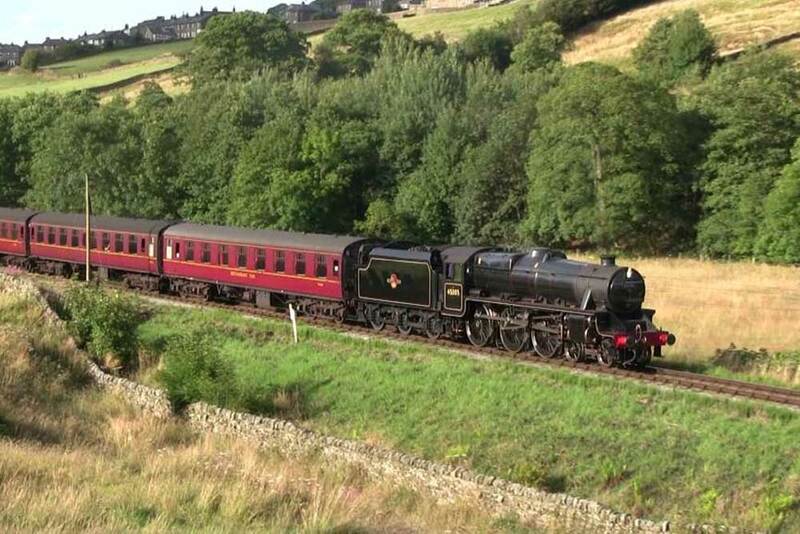 Having been due to leave the Railway on the 25th July to take up duties on the North Wales coast from Liverpool to Holyhead, 5305 Locomotive Association’s LMS 5MT, 45305, remained at Haworth and did not leave for Crewe as planned. 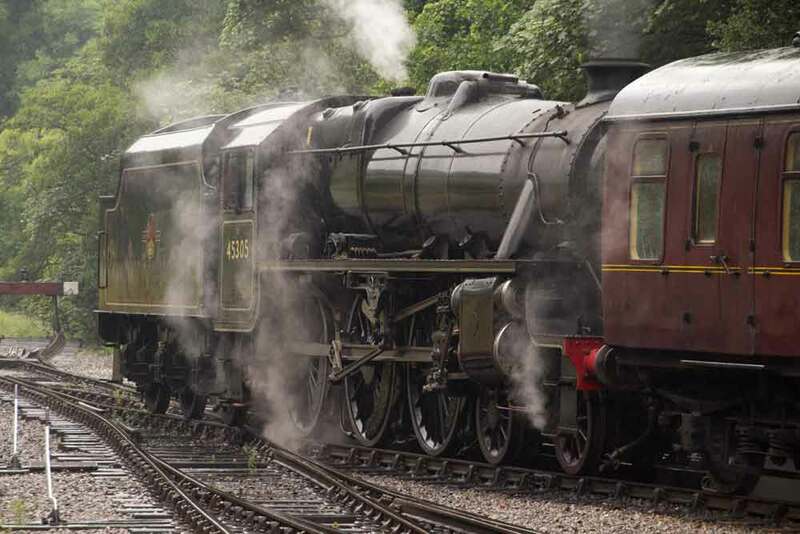 In the event, it was not required for mainline duties from Crewe owing to the disruption caused to the summer steam programme by the dry weather and the ongoing firefighters’ strike. 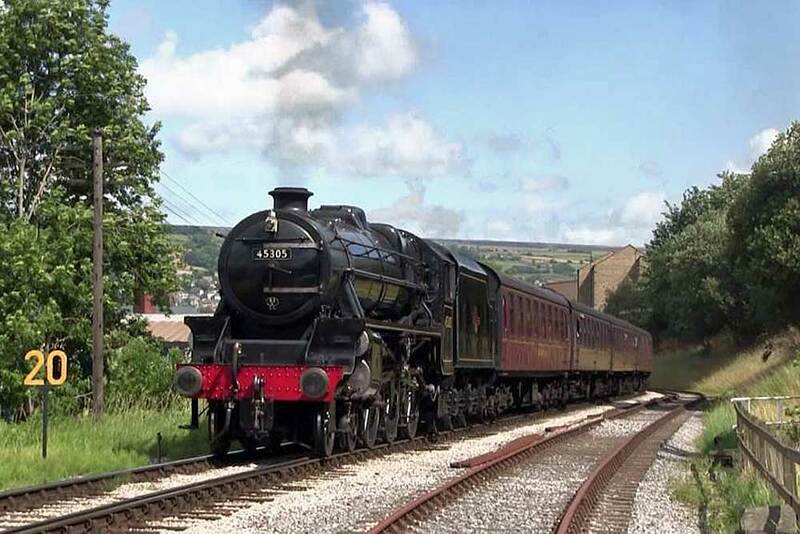 Accordingly, with no immediate plans for mainline work, the Railway took the opportunity to use 45305 on the weekend services, the 4-6-0 replacing the advertised WD 2-8-0 90733.